The 2013 Hawaii Thanksgiving Open was held on November 29-30th at the Atherton YMCA. 15 players of all ages and strengths signed up to play. 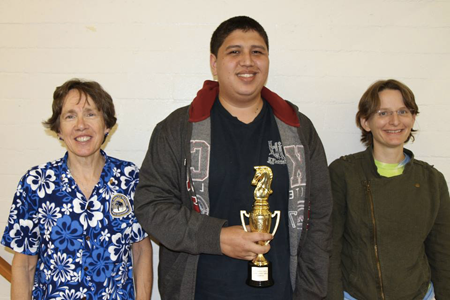 After 5 rounds of fighting chess, the very small Open section was won by Kevin Erick with 4 out of 5 points. 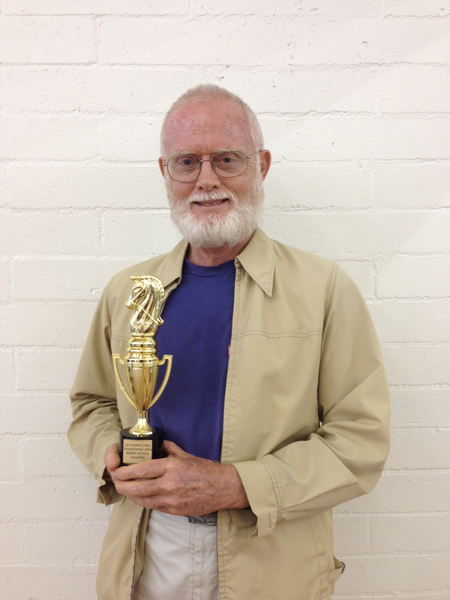 In the reserve section, a very determined John Mussack won all five of his games and claimed the trophy. Among the participants was Polly Wright, who came all the way from New York to play. Ms. Wright is on a mission to play in a tournament in every state. Hawaii marks her 28th state. Mahalo for playing, Polly, and good luck in your quest! 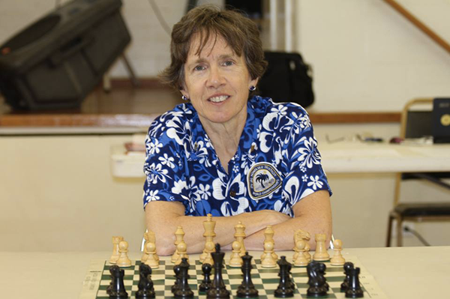 Polly Wright, on a Mission to Play a Tournament in Every State! Check out the photo gallery on facebook. The cross table/rating report is here. Mahalo to all who came to play or watch! A big thank you to tournament director Bob Newell for his superb TDing as well.